Terry Benedict tracks down Danny Ocean and his team after a fellow thief rats them out. Benedict demands his money back, plus interest. This thief poses a contest to see who can steal a specific item first. If Danny wins, his rival will pay his debt to Benedict. If their opponent wins, Danny and his team are on their own and must face Benedict's wrath. 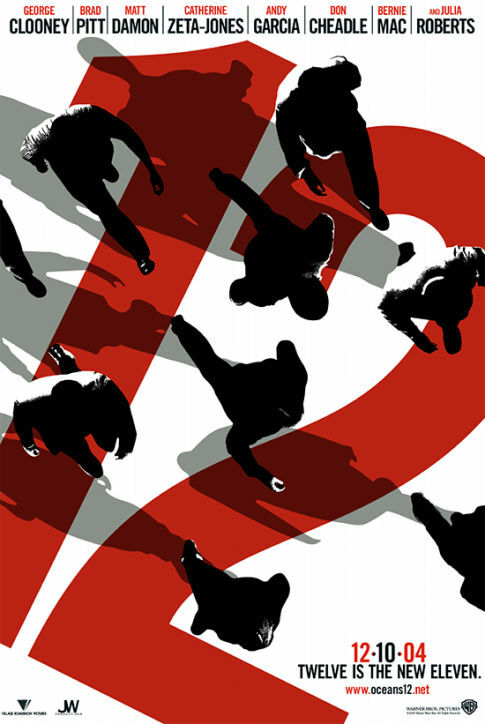 "Ocean's Twelve"...so, they are just adding one more every movie? Returning to the director's chair for this sequel is Steven Soderbergh, who besides directing the "Ocean's Eleven" remake also helmed films like "Out of Sight," "The Limey," and "Solaris." George Nolfi takes over as the writer of this installment in the series. Prior to penning this screenplay, Nolfi's only other writing credit was the poorly received sci-fi flick "Timeline." All the main players from the original cast return for this entry into the "Ocean's" franchise. Added to the cast are newcomers Catherine Zeta-Jones and Vincent Cassel, who both play antagonists to Ocean's team of thieves. 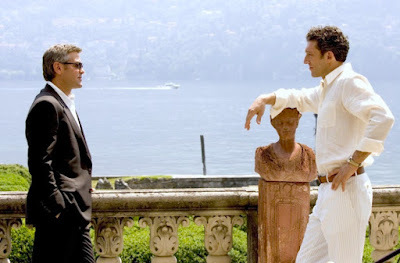 At the beginning of this sequel, Terry Benedict (Andy Garcia) has tracked down Danny Ocean (George Clooney) and his cohorts, thanks to an anonymous tip. Benedict demands that he get back all the money they stole from him, with interest, or else he will kill them. Now, the gang only has two weeks to come up with the difference or die. They can't work in the United States, so they try to take their operation abroad to Europe. 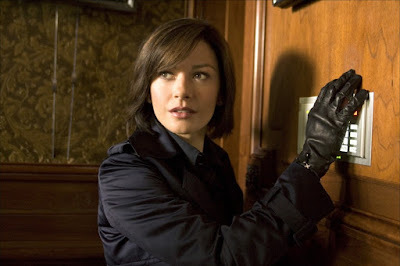 As they start up their game once again, they are met with competition from another thief known as The Night Fox (Cassel) and Europol agent Isabel Lahiri, who also happens to be Rusty's (Brad Pitt) ex-girlfriend. 8 billion people in the world and all of these ex-girlfriends show up everywhere they are! It's up to Danny and his team to beat The Night Fox to a big score or else face the vengeance of Terry Benedict. Much like the first film in this franchise, "Ocean's Twelve" is an over-the-top heist comedy with impossible stakes and crazy solutions to difficult problems. We have the same great cast that is still very charming and still looks like they are having a good time despite doing more of the same stuff. That being said, some of the supporting characters feel a little more superfluous as their roles in this new heist aren't all that clear. Speaking of the big robbery, "Ocean's Twelve" relies a little too much on misdirection when it comes to pulling off this ultimate get. The writers throw out too many red herrings, and too much seems left up to chance this time around. Information is withheld from the audience so there can be a big twist ending. Instead of being clever like it was in the original, this winds up feeling like lazy writing. Everything that is set up on screen doesn't matter because the real story happens offscreen when you weren't even looking. Still, there are plenty of enjoyable moments in "Ocean's Twelve," many of which involve the competition between The Night Fox and Danny Ocean. The cat and mouse games they play make for a fun and entertaining watch. George Clooney, Vincent Cassel, and most of the ensemble cast props up what would have been an otherwise mediocre sequel.